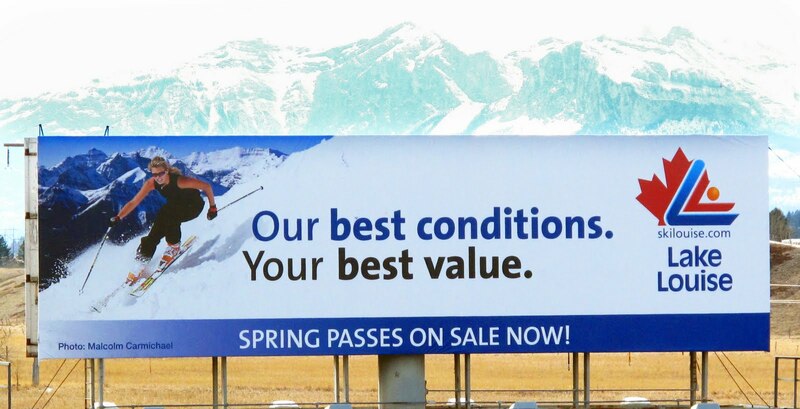 Watch out for this billboard as you are driving to Banff. Spring Skiing you will have a fantastic time! After our wonderful day skiing at Lake Louise yesterday we saw a Grizzly Bear on the drive home. Nothing beats Spring Skiing in the Rockies!